I remember applying to universities in the early months of 2015. As a transfer student, my priority was to get accepted into the best program for my major. But, I still wanted to feel a strong connection to the university that I would attend. I searched far and wide on each of these university's websites to find out more about their student experience. All of the schools used education website designs to create responsive websites. 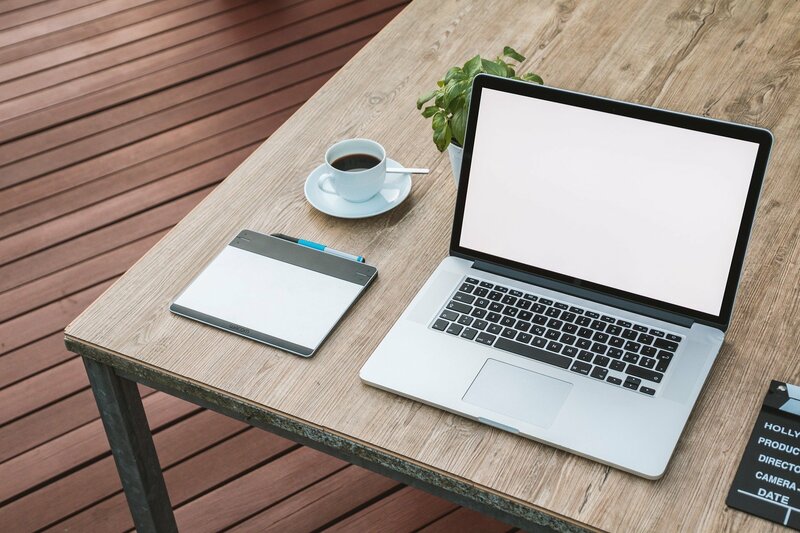 The best designed educational websites, however, put the spotlight on student experience and success. We used this criteria to research the best college website design for American schools. Here is the list of our findings. Bates emphasizes the student experience with a picture of students working on a project. This image makes a potential student feel confident that they will be supported and valued as a contributing member of the Bates community. The university clearly states their mission on their homepage: to help students find their passion and let each student's passion guide their actions. The main image features a current event from either Bucknell students or alumni. This event is the last in a timeline of events, which is shown on the left-side of the screen. 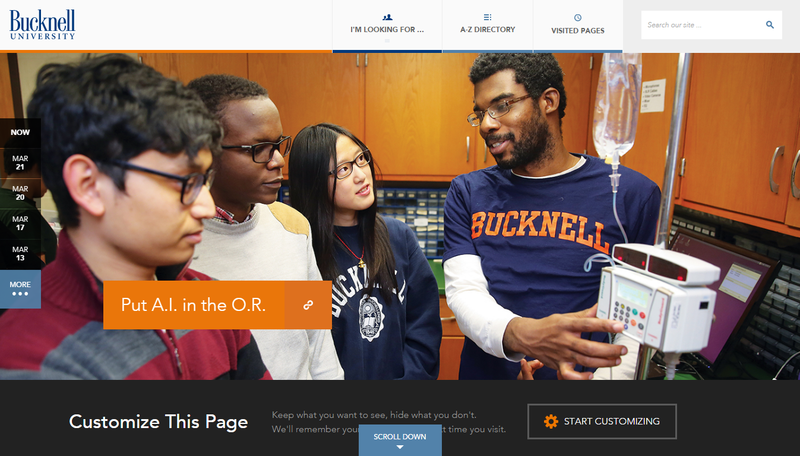 Use the "I'm Looking For" drop-down menu to find quick links to other resources at Bucknell. The website makes it easy for users to access recently viewed pages and customize their homepage. This added touch makes potential students feel Bucknell will personalize the university experience for each student. 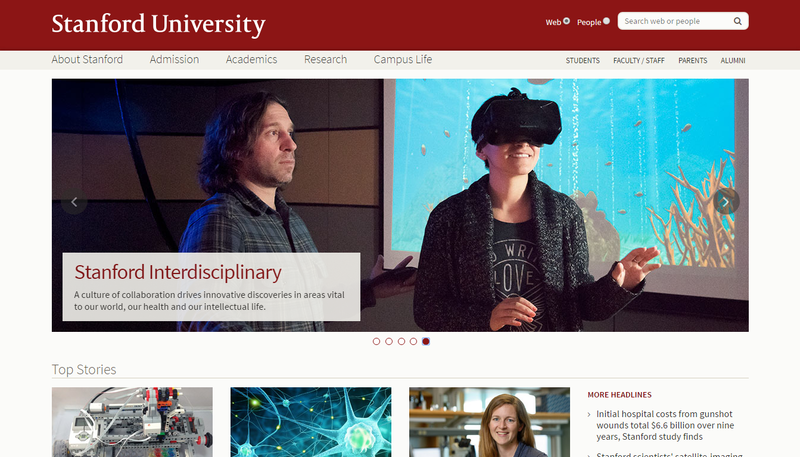 The University of Chicago makes information accessible through a concise, structured homepage. Promising students can learn more about campus life and civic engagement at The University of Chicago in a single click. Also, the homepage has a "Spotlight" section to showcase student work in academic, athletic, artistic, and social realms. It is great to see a university display the accomplishments of its students in a diversity of areas. 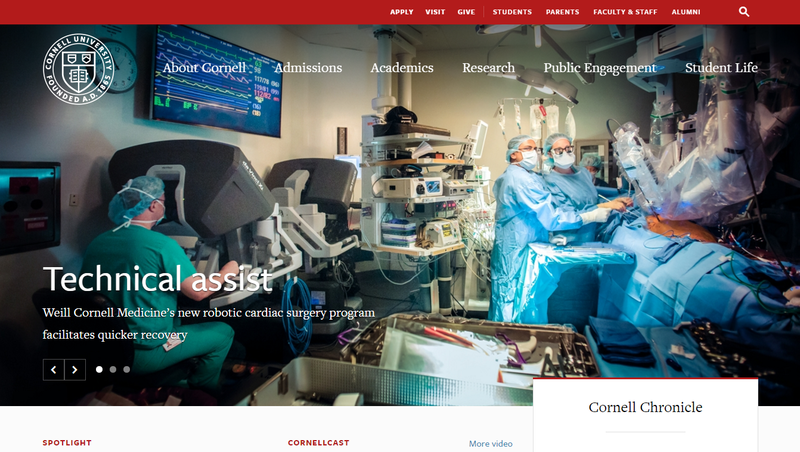 As a current college student, I instantly gravitated to the "Around the University" section on Cornell's homepage. The section is an image gallery with a bunch of useful filters. A user can filter by college, student experience, public engagement, and many other areas of interest. The image gallery gives the website a relatable personality and makes it easier to understand student life at Cornell. 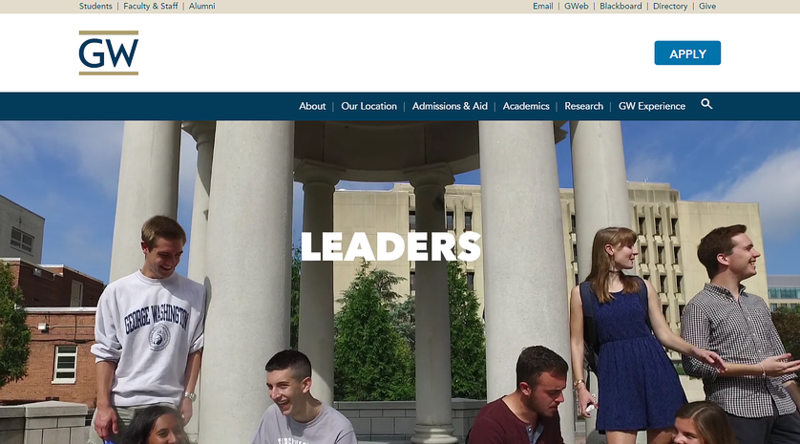 The first major section of the George Washington University homepage is dedicated to student life. GW emphasizes that students have opportunities to interact often with industry leaders, due to the closeness of the university to Washington, D.C. There is also a section to showcase stories from the GW community about student initiatives and projects on campus and around the world. 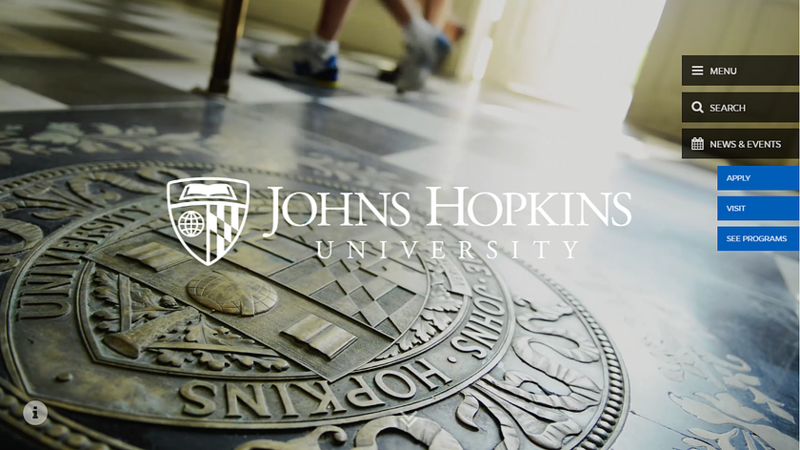 Johns Hopkins University mixes student spotlights with beautiful visuals. The gallery of video clips on the homepage showcase different aspects of the university. The common theme is student work and achievements. Scrolling down the page, a visitor sees student testimonials and can click to expand these into short profiles. JHU has an interactive map that shows how international students play a vital role in the success of the university. University of Maryland has a main image gallery that focuses on student experience, college connections, and community service. As a visitor scrolls down the page, students are shown working in academic and research settings in teams. They are also depicted in artistic, athletic, and casual environments. The overall message to potential students is that UMD creates well-rounded students with a healthy school-life balance. 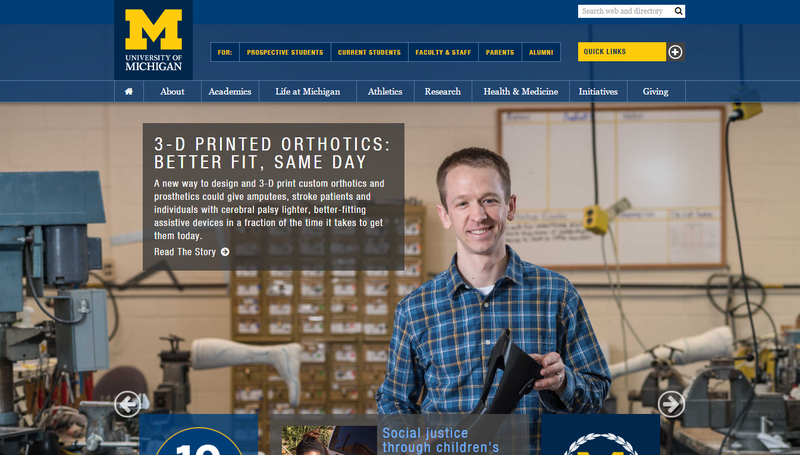 University of Michigan also uses images of impressive student work. UM students are seen working to improve public health around the world. Research using 3-D printing to make better assistive devices is shown. An interesting section of the homepage is entitled "24 Hours". This section shows how student life at UM is always busy, whether it be with lectures, studying, conferences, or hanging out with friends. 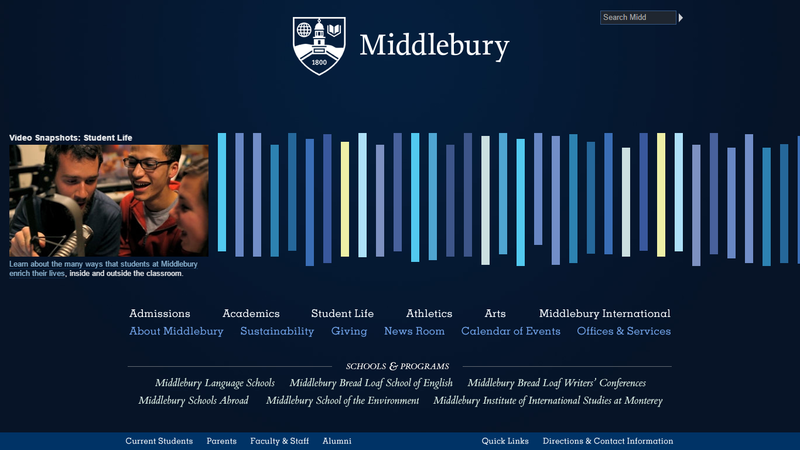 Middlebury College makes use of unique colored panels that instantly gain the curiosity of online visitors. There is a video link to student life at the university, which provides over 4 minutes of current students sharing their diverse experiences at Middlebury. There are also panels for the university's focus on international students, study abroad opportunities, and how students build strong friendships in the school's community. 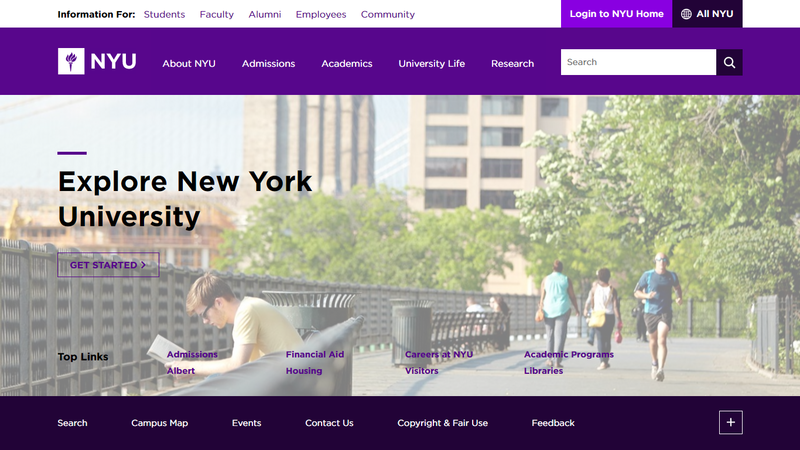 New York University mixes static information -- like Academics and Admissions -- with dynamic information from social media and news articles. This combination helps potential students keep to update with new events at NYU. 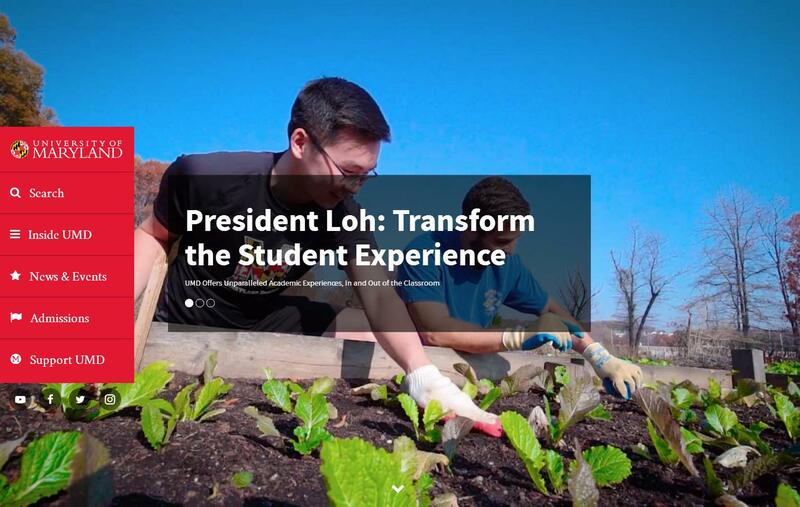 The student experience is shared with links to living on campus, career development opportunities, and university events. New York is a city with constant energy and NYU wants their students to channel this energy. University of Pennsylvania highlights student initiatives around its campus. UPenn student entrepreneurs are shown working on their innovative ideas in biotech, design, and sustainable technologies. 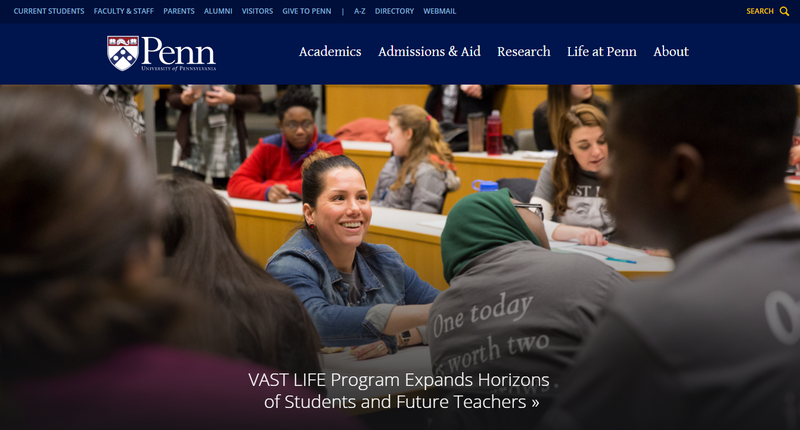 The image gallery at the end of the homepage shows students sharing their UPenn experience across Twitter, Instagram, and other social media platforms. This gallery helps potential students feel the excitement of current students who attend UPenn. 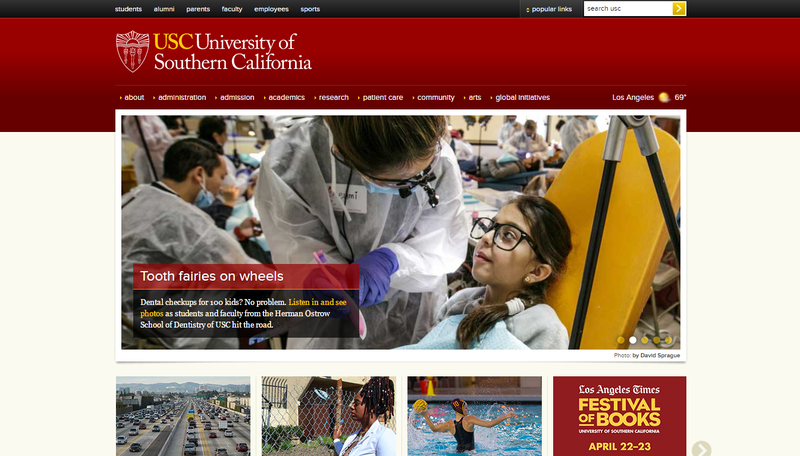 University of Southern California maintains a professional image on its homepage. 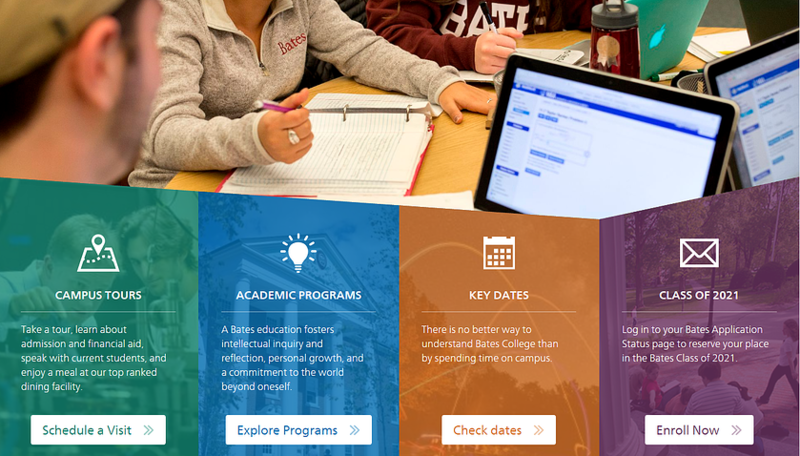 Navigate to the "Student Affairs" homepage and you see how much USC cares about its students. The university encourages students to get involved, stay healthy, and create strong support systems. Students are featured in images and news articles about their research and work in the community. No wonder students at USC rate student life one of the best in the country. One of the main images in its revolving gallery shows how current Stanford students use historical artifacts in the university library to learn course content hands-on and in-depth. Promising applicants also clearly see that Stanford encourages students to collaborate with their peers across academic disciplines. Stanford shows its culture of collaboration and innovation that empowers its students to be leaders. 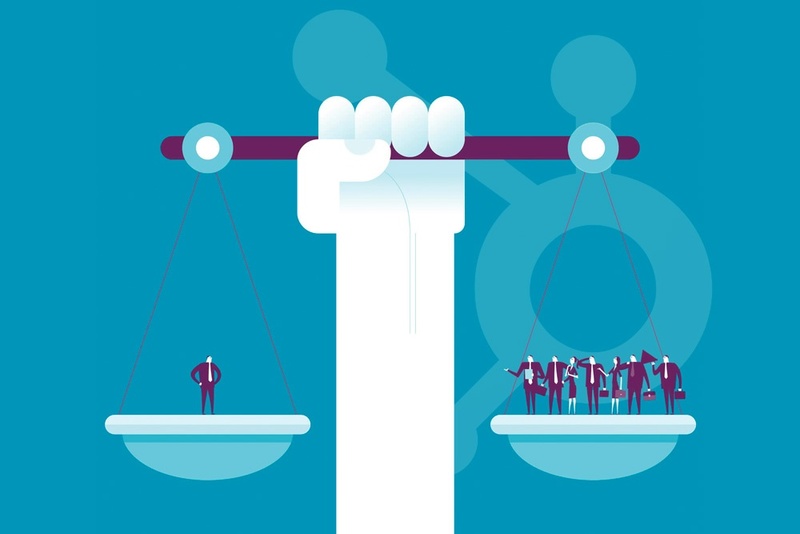 St. John's University makes use of a short video, which shows students working to be better leaders through research, professional development, and collaboration. 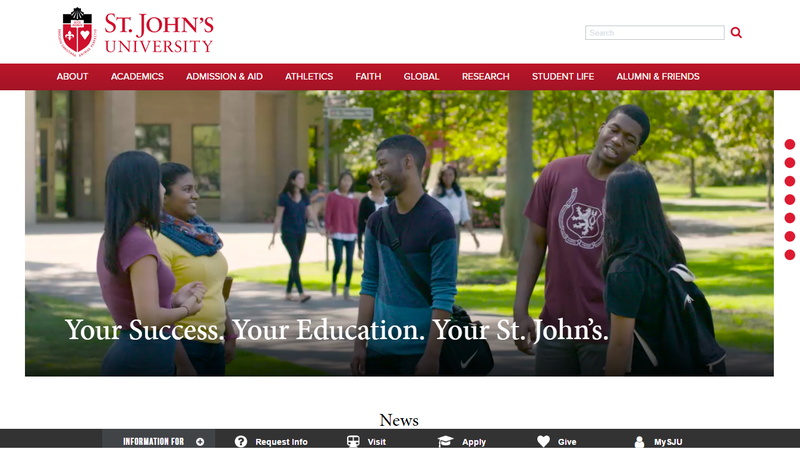 Student success at SJU is also shown through profiles in the section "Success at St. John's" and the tongue-in-cheek "Humans of SJU." The phrase "Your Success. Your Education. Your St. John's." makes potential students confident that their experience at SJU will be unique and meaningful. Trinity University makes it clear that diversity and collaboration are celebrated on its campus. The student profiles on the Trinity homepage show students from a variety of majors who have found their passion. Trinity plays on its small-school atmosphere to show how students can easily make strong connections with faculty, peers, and their community. Students are encouraged to fully develop their personal and professional interests. 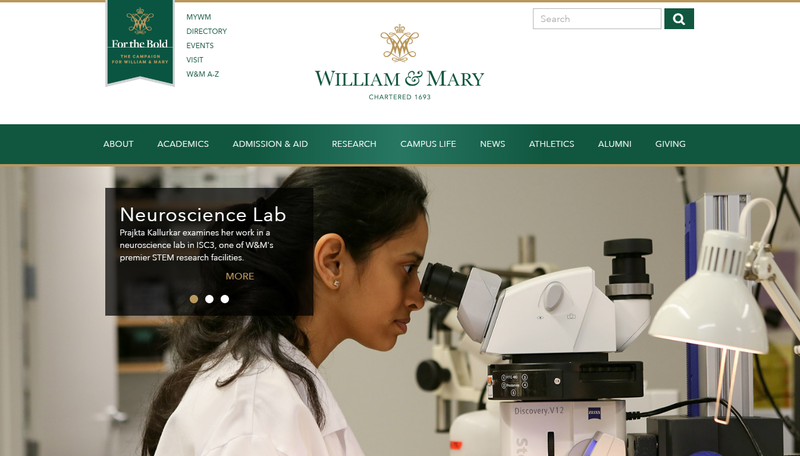 William & Mary makes use of blogs from all members of their community -- including students, admission officers, faculty, staff and alumni -- to paint an accurate picture of the college's opportunities. I am slightly biased towards the power of blogging, but this innovative idea is a great way to promote student expression. William & Mary also highlights its alumni and relates their undergraduate experience with their career success. 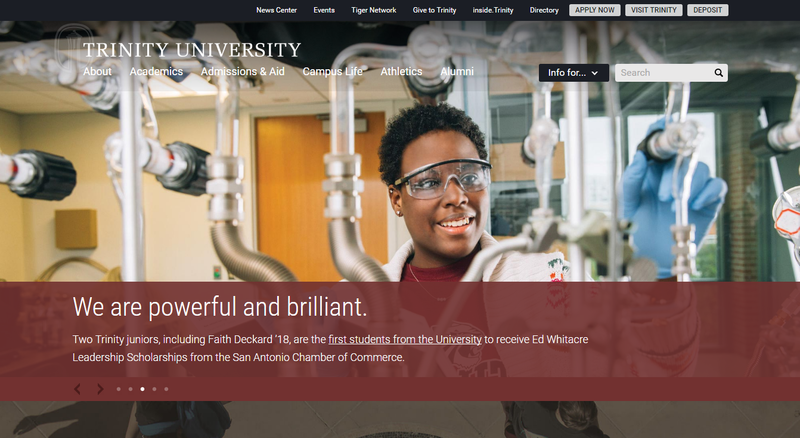 We saw the different directions that universities and colleges took to design a website that showcased the student experience. Let us recap a few themes about these these educational websites. The best designed educational websites put their students first. By highlighting student growth and achievements, post-secondary schools can make their brand more relatable to potential students. Keep your students in mind for your university or college's next website redesign. For ideas to spark your design creativity, check out these innovative B2B website designs. How have you kept students in mind for your educational website? Share your insight with a comment below. Webbege is a leading San Diego B2B website design and digital marketing agency that provides a suite of marketing automation tools. Our clients range from small businesses to Fortune 500 companies. Let's team up and grow your business. Brent joined in late 2016. 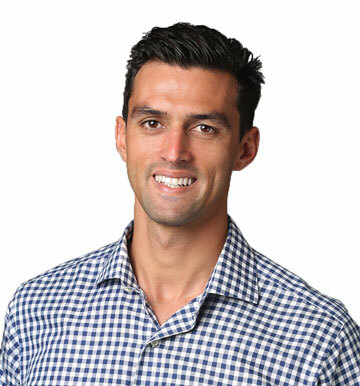 He loves to share content to help educate our community about digital marketing. 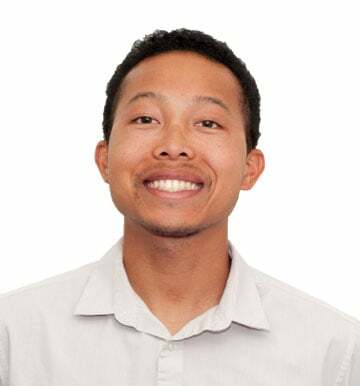 In his free time, Brent is an avid power-walker and writer of stories. He tries (but fails) to teach his old cat new tricks.